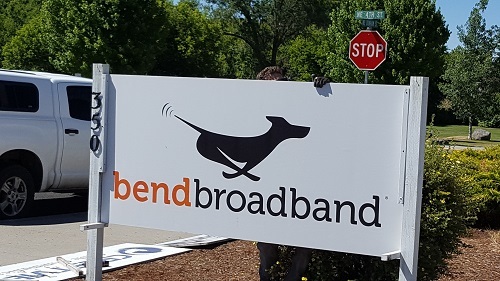 Crestview Cable Communications has changed its name and is now officially BendBroadband. On Nov. 1, 2017, TDS Broadband Service LLC, a subsidiary of Telephone and Data Systems, Inc., and operated by TDS Telecom (TDS®) announced it completed the acquisition of Crestview Cable Communications (Crestview) in central Oregon. The sale includes service areas totaling more than 21,000 homes passed in six communities. In the last eight months since the acquisition, TDS has been busy and has invested more $20 million in network upgrades during that time. Upgrades include cable replacements, building upgrades, noise mitigation efforts, and more. Customers should now notice monthly bills coming from BendBroadband. Office signs and company vehicles have or are in the process of being updated with the BendBroadband name. In the next few months, the web site will reflect the name change too. 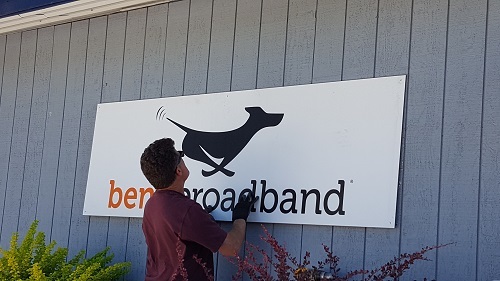 BendBroadband, a TDS company since 2014, and Crestview have a long history of improving communications services in central Oregon. Crestview was founded in Madras, Oregon in 1955. To learn more about BendBroadband, visit bendbroadband.com. TDS Telecommunications LLC (TDS Telecom/TDS®) is the seventh largest local exchange telephone company in the U.S. with 1.2 million connections to high-speed internet, phone, and TV entertainment services in nearly 900 rural, suburban, and metropolitan communities. TDS, a growing force in the cable industry, operates BendBroadband, which is part of TDS Broadband Service LLC. For residential customers, TDS deploys up to 1Gig internet access, IPTV service (TDS TV), cable TV options, and traditional wireline services. For businesses, TDS offers advanced communications solutions, including: VoIP (managedIP Hosted voice), high-speed internet, fiber optics, data networking, and hosted-managed services. Visit www.tdstelecom.com or www.tdsbusiness.com.